Eating healthy isn’t always easy, but it’s worth it. 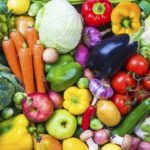 Healthy eating habits do much more than decrease your risk of chronic diseases. Eating a balanced diet with plenty of fruits and vegetables is key to feeling and looking your best. 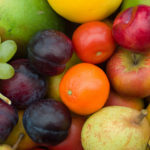 Whenever possible, eating fresh, in season fruits and vegetables is ideal. Introduce your family to fresh, local produce by visiting a farmers’ market or the Happy Valley Farm Trail. 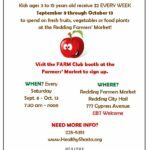 In Shasta County we have a number of great farmers’ markets that operate during the summer months and the Redding Saturday Market runs through December. Stop by a farmers’ market or explore the Happy Valley Farm Trail to see what’s available throughout the year!